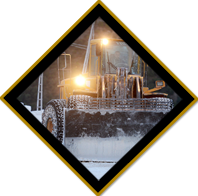 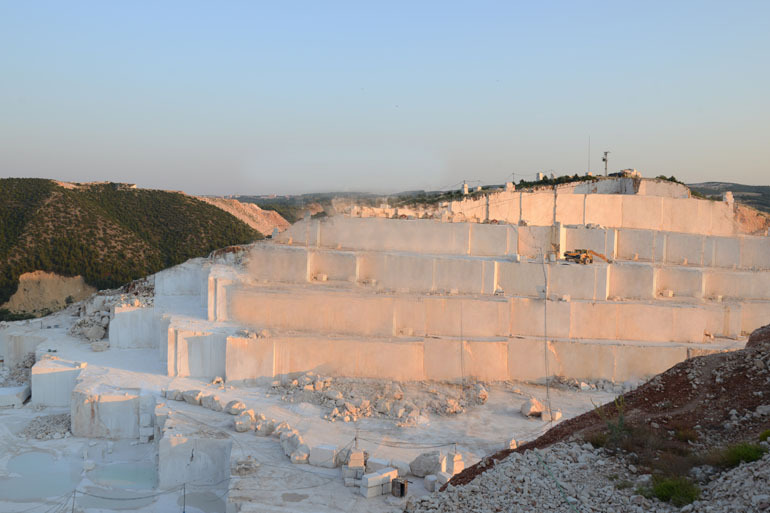 Our quarry is located at Çukurören village, Aksar Hill in Bilecik. 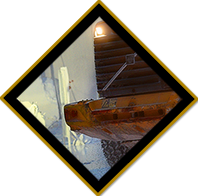 Operational since 1998, research has shown large reserves have been found in this area. 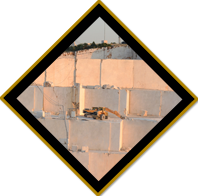 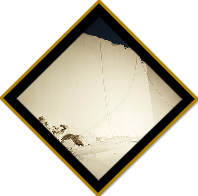 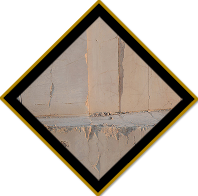 The stone quarry is located at a central location where invaluable marble is found. 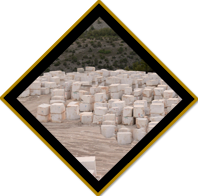 The main property of the stone is that it is soft when in the ground, but hardens when it meets the air. 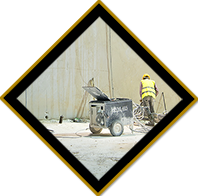 This helps make the project it has been used in durable and long-term. 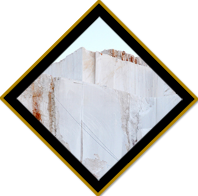 Calcium carbon based marbles are radiation free and an invaluable contribution to a healthy decorative life. 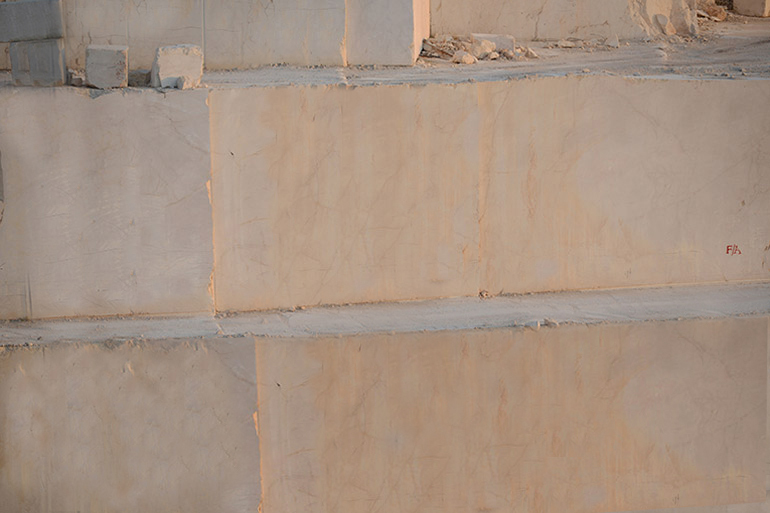 Our stone quarry has light, medium light and dark toned fossiliferous marbles. 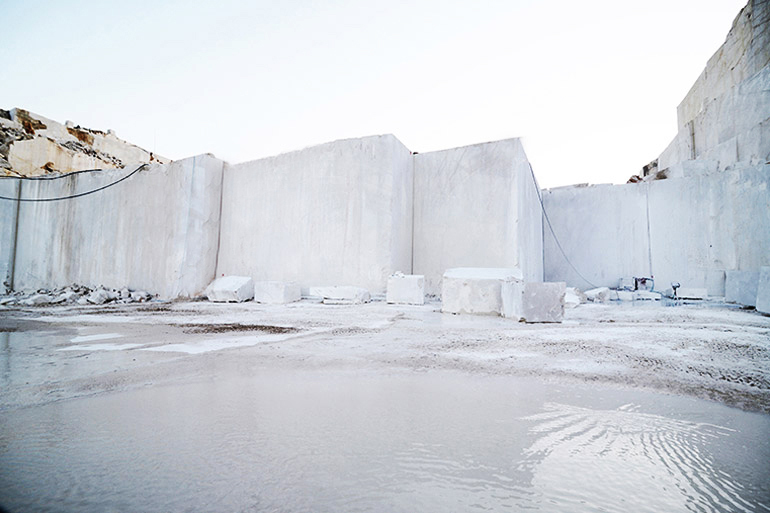 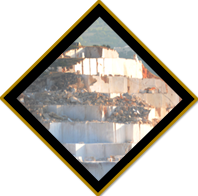 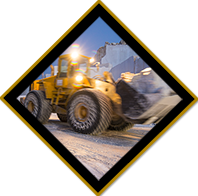 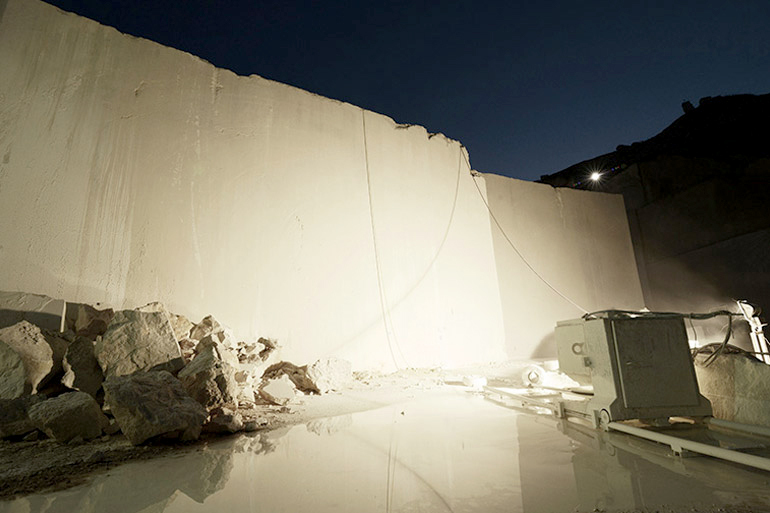 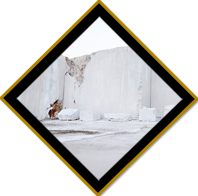 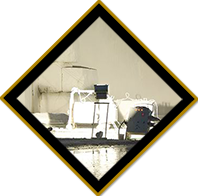 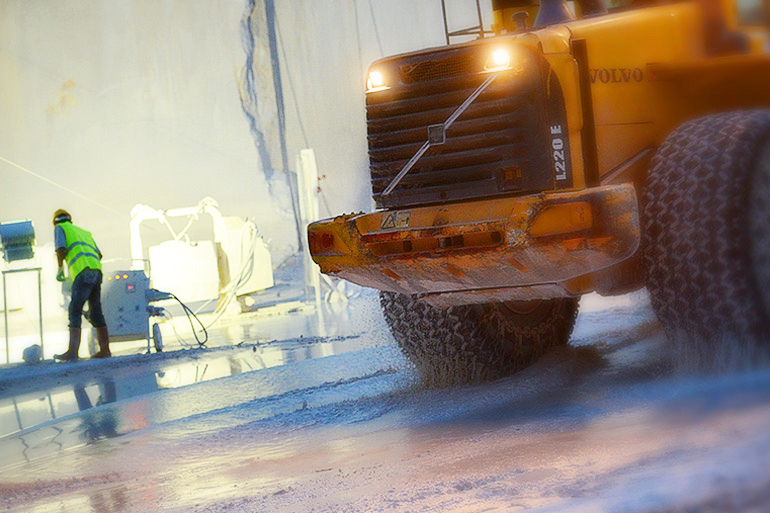 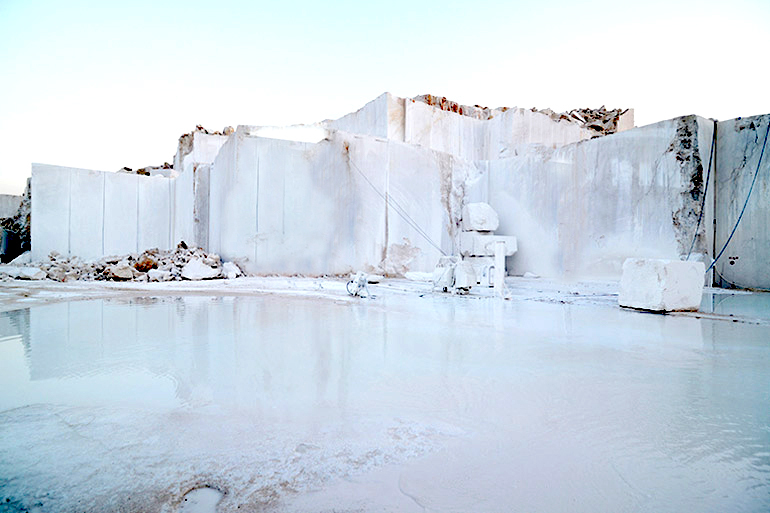 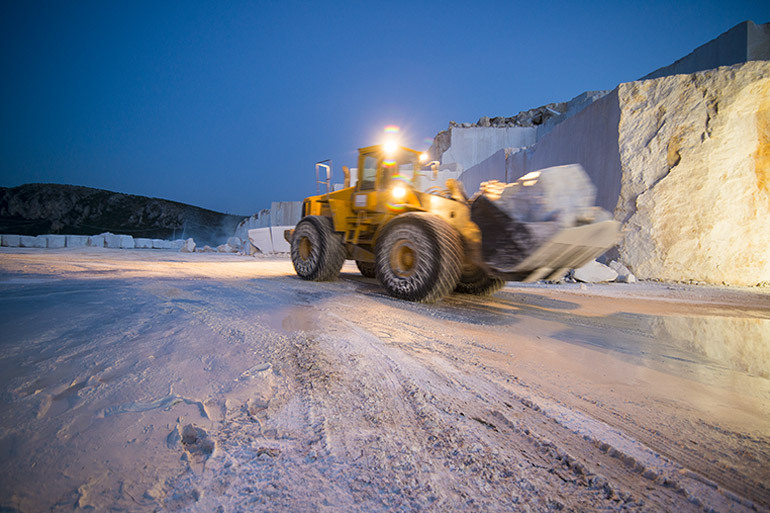 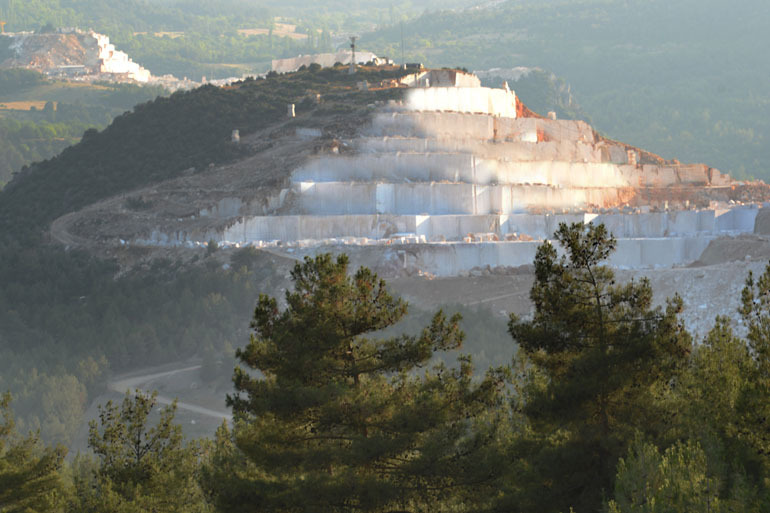 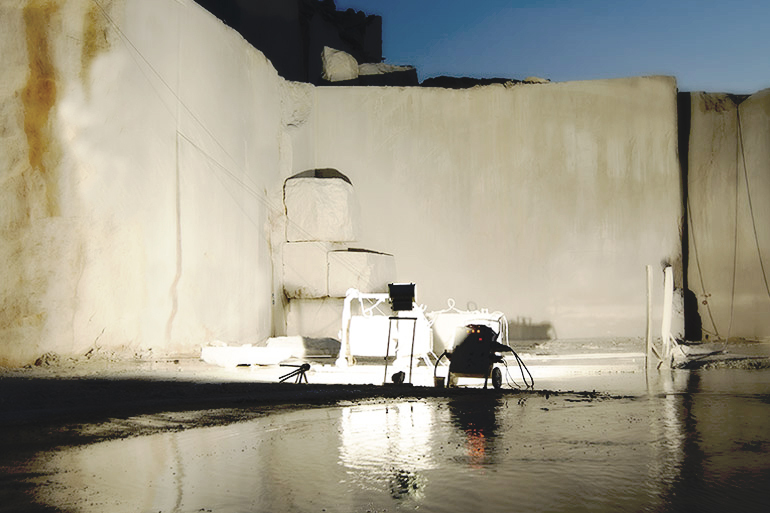 On 8 levels of land, 50000 tonnes, 15000 cubic meters of marble can be extracted. 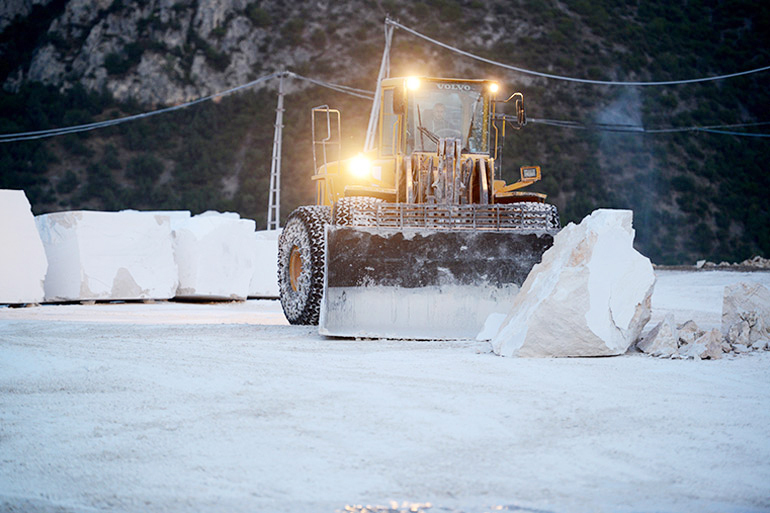 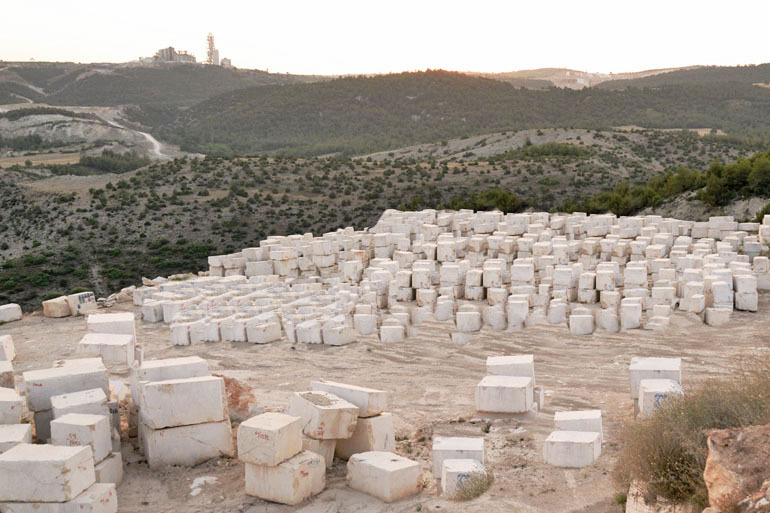 Certified by Kocatepe University for its physical qualities, the marbles are extracted using a Hyundai excavator, two installer 220 volvo, 4 trucks and five cutter machines. 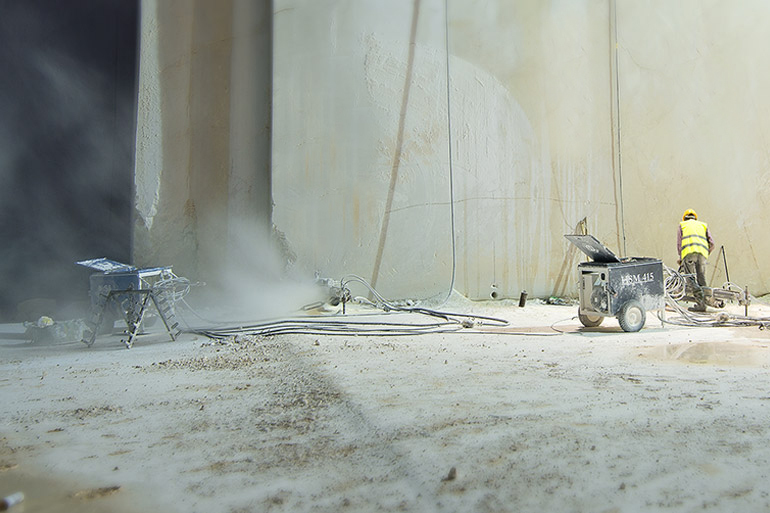 50 people work meticulously for 6500 hours to complete exraction.